The 2019 Pro Bowl presented by Verizon will take place at Camping World Stadium in Orlando for the third year in a row. On January 27th at 3pm the stadium will be packed with fans of both AFC and NFC teams cheering on players representing their hometown teams. The week leading up to the Pro Bowl culminates with a powerhouse lineup of events and activities. Check out our list of Pro Bowl events in Orlando starting on January 23rd. 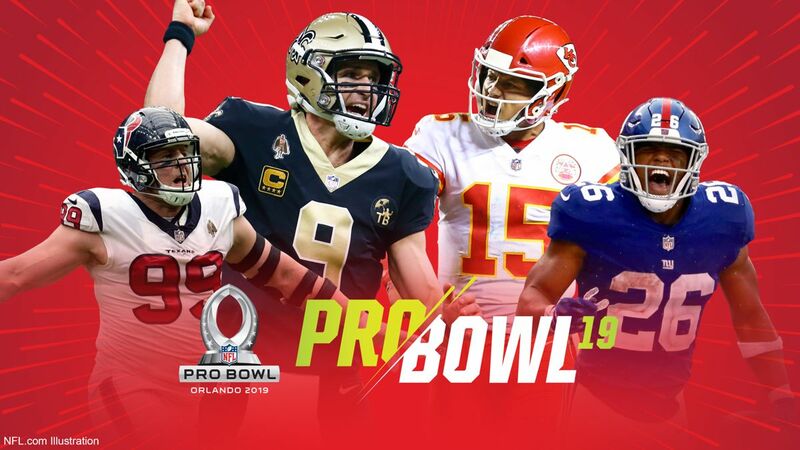 Join the 2019 Pro Bowl in Orlando for a week-long celebration of football’s brightest stars, kicking off January 23, 2019, at ESPN Wide World of Sports Complex! 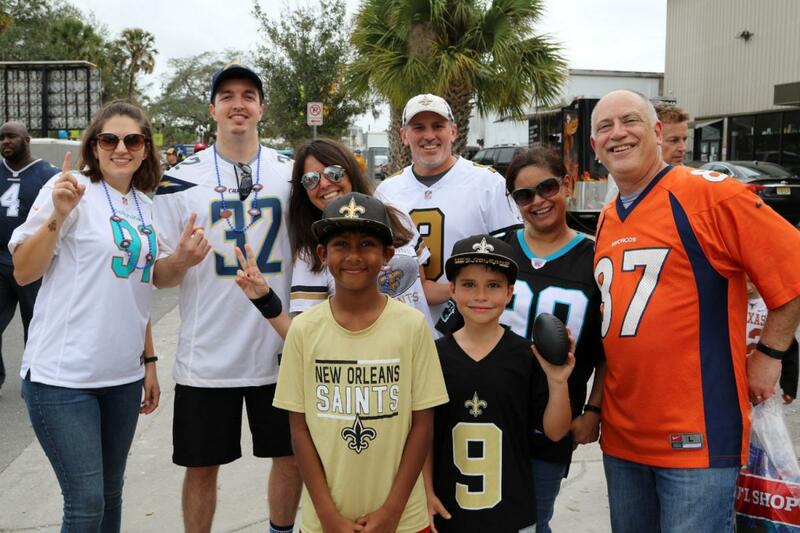 Highlights include AFC & NFC Practices, Play Football Celebrity Flag Game, Skills Showdown, NFL Flag Championships and an interactive fan zone for fans of all ages. Free. Get ready for a fun-filled evening as you roll the dice with some of your favorite NFL Superstars from the past and present, all for a great cause. Players will be serving as celebrity dealers as you participate in casino favorites such as Blackjack, Roulette, Texas Hold’em Poker and more for a chance to win thousands in prizes! 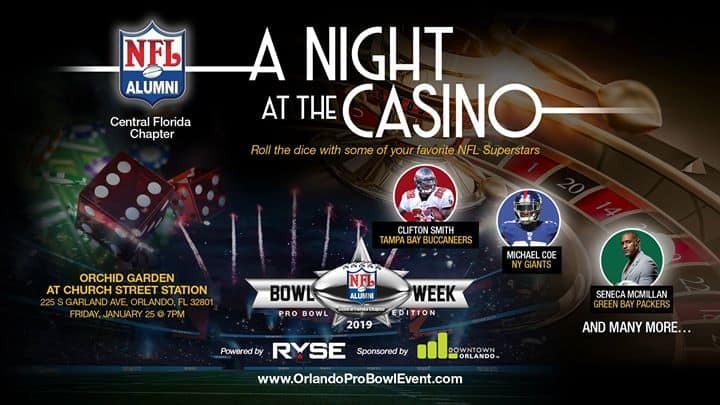 Come celebrate with some of the biggest stars in sports during Pro Bowl Weekend in Orlando! 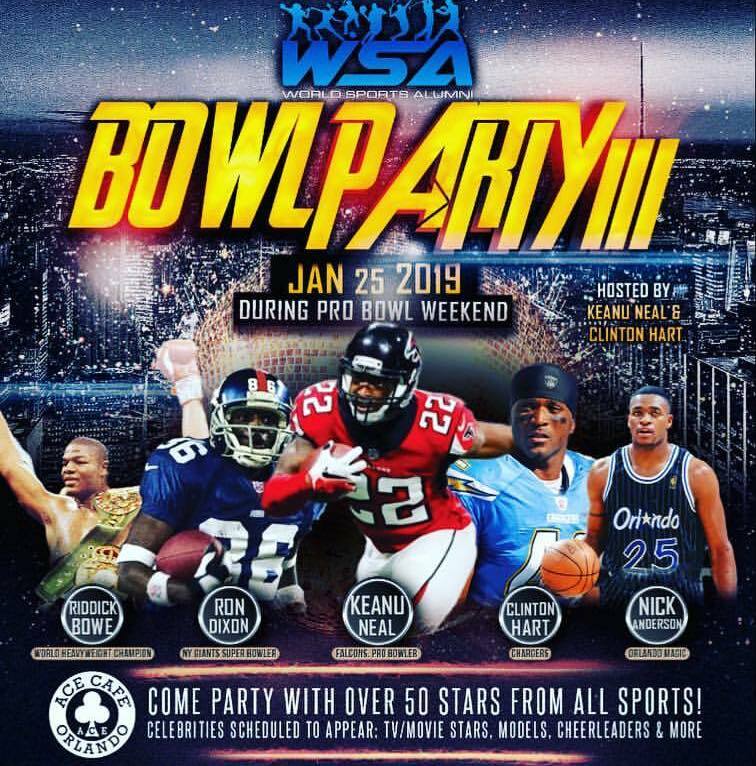 The World Sports Alumni and Ace Cafe Orlando will host the party that will take place on January 25, 2019. Professional athletes from the NFL, boxing, tennis, NBA and celebrities from outside of sports will be attending the mega-star studded night. A portion of the proceeds will benefit charity. 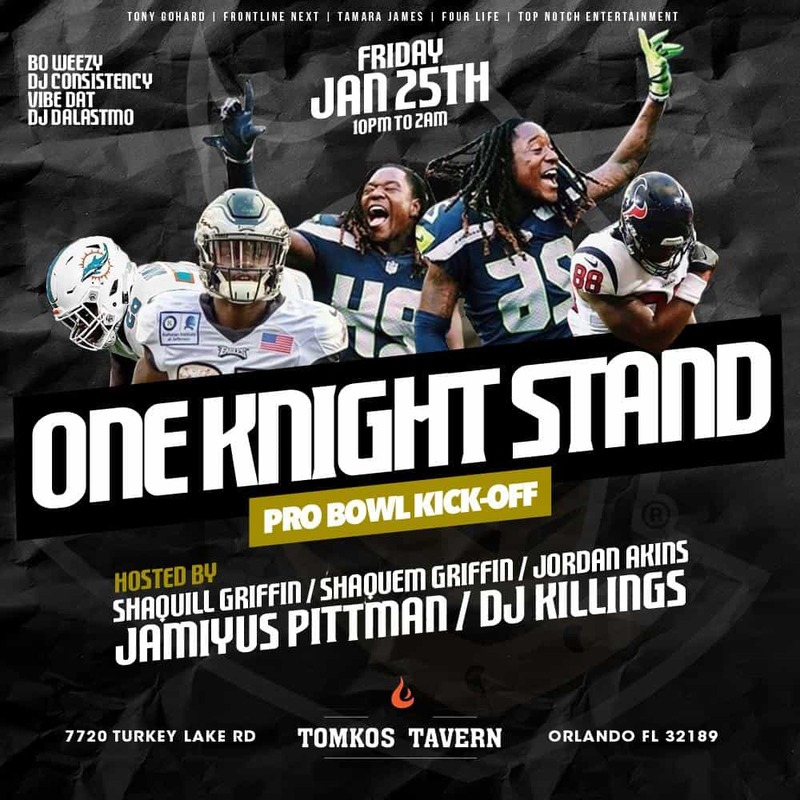 An Elite NFL Pro Bowl Friday Night Party w/ UCF alumni, NFL All-stars & more. Age 21+. 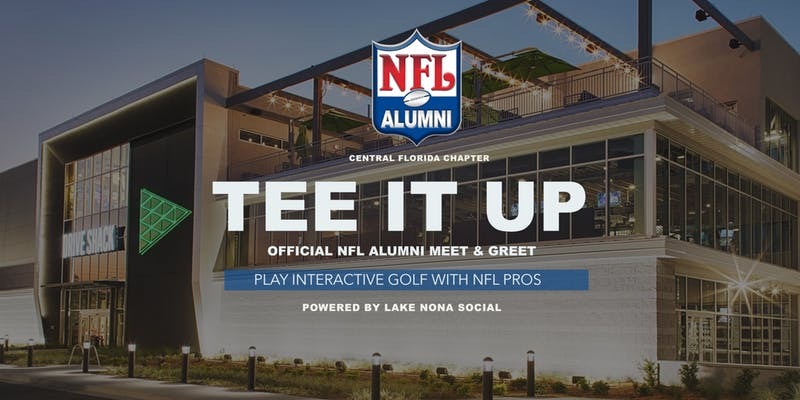 The NFL Alumni and Lake Nona Social partner to Kick-Off Pro Bowl Weekend in Lake Nona with TEE IT UP - an interactive golf meet & greet. Play a round of golf and meet some of your favorite NFL Superstars at Drive Shack Lake Nona. Broken Cauldron is the spot to be before and after this year's Pro Bowl. Enjoy some locally crafted brews located just 4 blocks east of Camping World Stadium on Church St.
Stay connected to what's happening in your area and check out our free events calendar for top things to do in Orlando by subscribing to 407Area.